Well, who saw that lot coming? New manager with the right pedigree comes in and everyone's happy. Then it all goes sour and he walks out, all within a few weeks. OK, some of us were slightly suspicious at the time of his even shorter stay at Solihull, but the whole affair reflects badly on everyone involved in it, as well as the club itself and, like the takeovers of a few years back, suggests that due diligence may have been a bit lacking. Now that things seem to have calmed down, we luckily find ourselves with a third of a season left to pick up the ten or so points required to avoid relegation, so hopefully that final third will be a bit less worrying and a lot less bizarre than the previous third. 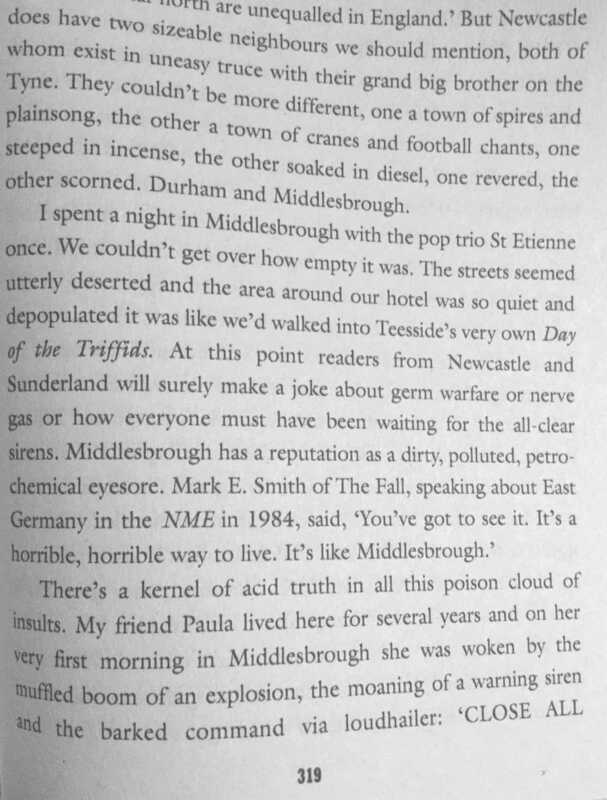 Further to last month's quotation from Stuart Maconie's book "Pies and Prejudice", we have another, also submitted by Wallace & Gromit, this time about a neighbouring large town to Hartlepool. If you want to find out what had to be closed, you'll have to read the book. Rumour has it that what triggered the speculation regarding Money leaving the club was some Pools fans having a go at him in a fish and chip shop in Seaton. Had he instead ventured across to the Headland to Verrills he would not have encountered such hostility, as not only are the people in the Ancient Borough the friendliest in the town but Verrills would have no doubt not been open. Apparently the sicknote has bizarrely been renamed the fit note - even though its function is to state to what extent a person is NOT fully fit for work! Billy's Contract suggests that it's much like labelling a linesman as a referee's assistant. It could have a massive effect on how we speak about players. Over recent seasons Pools have had a fair few players described as sicknotes. Fitnote just won't work in the same way, will it!